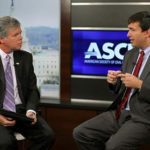 ASCE’s Casey Dinges with the acting coordinator of the U.S. Geological Survey’s Energy Resources Program, Douglas Duncan. Shale energy exploration has become a growing method to extract new energy resources. 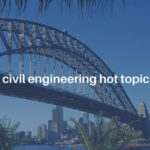 And because civil engineers are dedicated to protecting the health, safety and welfare of the public, they are becoming more involved with it because of the environmental, health and safety concerns. 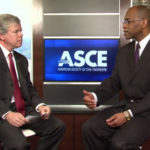 In an ASCE Interchange interview, Doug Duncan, Acting Coordinator, Energy Resources Program, U.S. Geological Survey noted that waste water disposal in deep underground injection wells can cause earthquakes that can be felt and cause damage. In some states, like Oklahoma, fracking-caused earthquake activity has been reported where it previously had not been an issue. The impact and related issues are being studied by the U.S. Geological Survey and universities across the country. 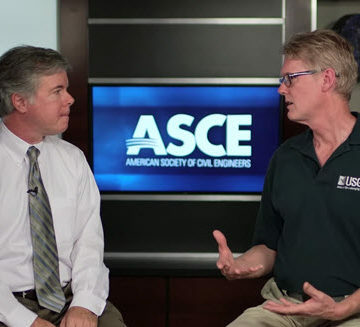 Doug discussed best practices for engineering including designs that can minimize the danger of contamination. 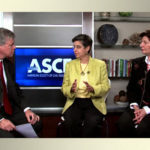 What are some of the areas of research that can help the government and companies develop best practices for this type of energy exploration?